Now that Spring is here kids love nothing more than exploring outdoors and saving all of the neat things they find. 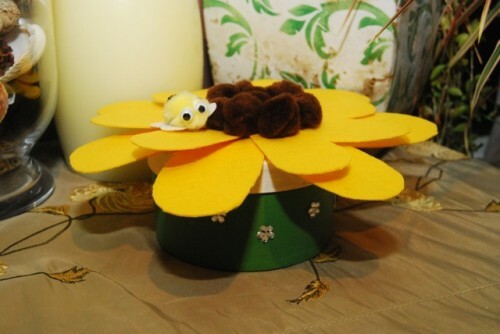 For our craft this week we have made a Sunflower Treasure Box for your child to keep all of their prized possessions safe. 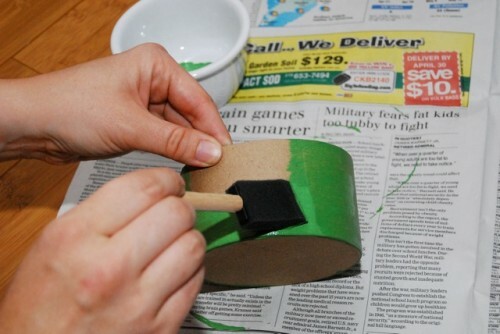 Step 1: Paint the bottom of the box with the green paint. 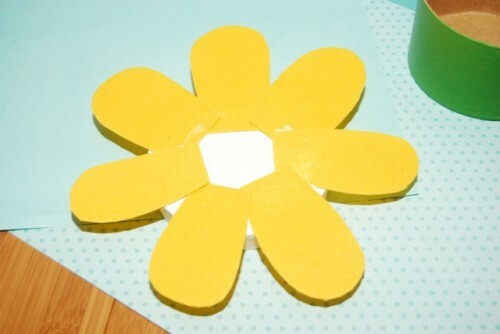 Step 3: Cut out your petals (7 in total). 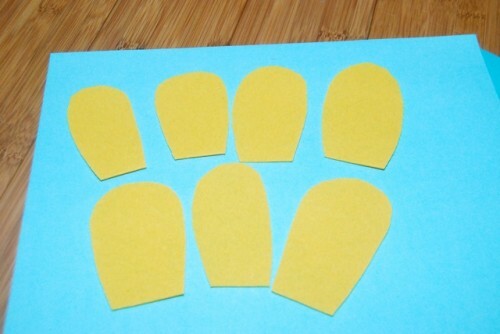 Don’t worry if they are different sizes, it will give the flower character. the first row and should be staggered to fill in the gaps. 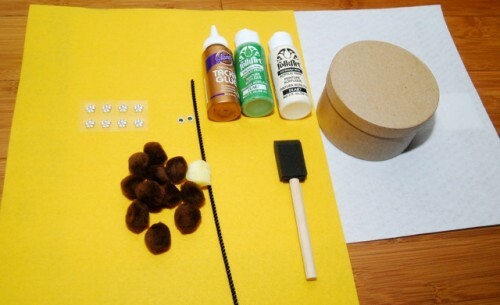 Step 6: Glue on the brown pompoms. 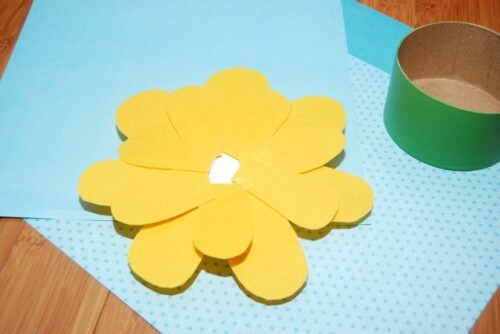 You can use them to cover up any gaps there may be in the middle of the flower. 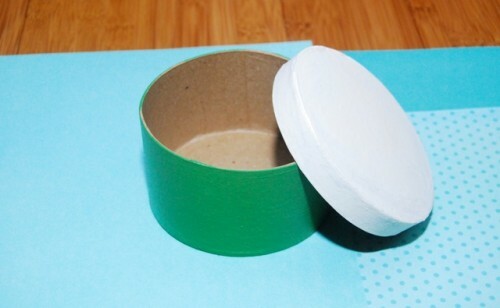 Step 7: Add the embelishments onto the side of the box. 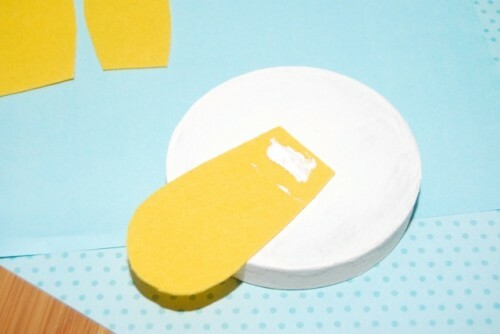 If you are doing this craft with little ones you can use stickers instead on rhinestones. 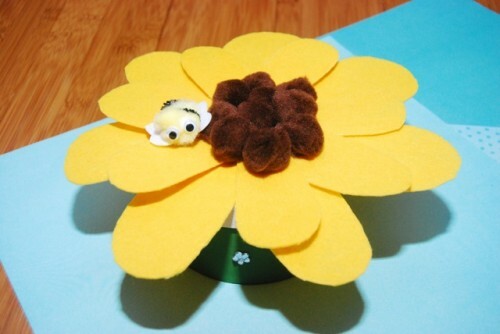 To make the bee cut a 2 inch piece of pipe cleaner and wrap it around the yellow pompom. 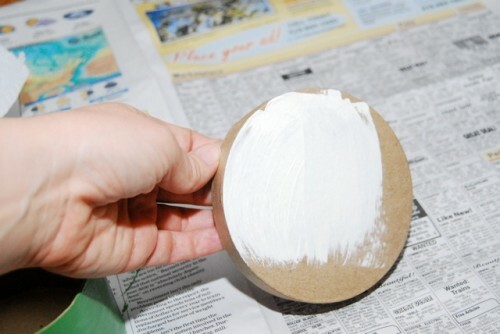 Glue the google eyes into the end and then cut a small piece of white felt for wings. 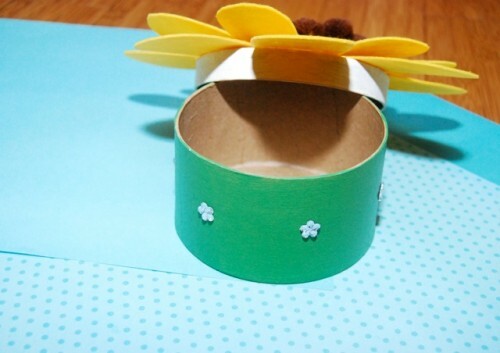 Glue the Bee onto the flower and you have a Sunflower Treasure Box! 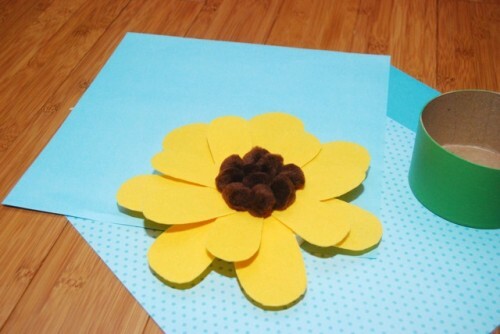 Different coloured felt with white pompoms can be used if you want to make Gerbera daisys instead on Sunflowers.